Do you want your home to have that exquisitely-designed look but having difficulty in finding an interior designer that shares the same vision? Are you looking for some interior design ideas for but don’t know who to talk to? Well, you can find that perfect interior design company in Dubai now. Upgrading a room? Transforming your home? Then find your interior designer in Dubai with mrUsta! Need some renovations done? Moving into a new home? A kitchen or bedroom upgrade? Or perhaps just looking to change it up a bit? Whatever you desire, you’ll need to find an interior design company in Dubai to realize your vision which in itself, can be quite challenge as you don’t know who you can trust and you don’t know what Dubai interior designer will have the same interior design outlook as you. That’s where we come in. No need for superfluous online searches for interior design companies in Dubai and no more calls gone unanswered. Just share with us your interior design needs – photos, budget, ideas – anything that inspires you, and interior design companies will come to you and pitch their concepts and their plans to fulfill your interior design dream. After all, design at the very heart is about you, and any interior design company that you want to work with must understand not only what you want, but truly who you are. That is the key synergy for any interior design project. So how do you find your interior designer with mrUsta? 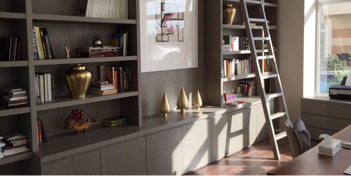 You’ll initially be asked some high-level questions about your interior design requirements. You’ll also be asked to provide more details about your interior design project. You can also provide images; in the case of interior design projects, please do! When you provide images, you’ll help the interior designers in understanding what you want. Then simply provide the address in Dubai where you need the interior design project to be done and when you’d be free for a site visit. Once you’re happy with the details, click on ‘Get Offers’ and that’s it! We’ll automatically send your request to the interior design companies in Dubai on our system, and they will get in touch with you via the platform. When you find someone you’re happy with, don’t forget to ‘assign’ the project to the interior designer so we can support you and follow-up on our end until your interior design project is complete. Very straight forward! Well done job and aesthetically pleasing result! The finished product is fantastic, and we are thrilled with the result! They were very good and did the job super-fast. They provide high quality services. We were super happy with them and will definitely use them again! If you don’t have the time, experience, or confidence to design and convert that spare room into a nursery, then turn to an interior design company in Dubai for that extra support.. Since you’re willing to make a significant investment anyways, sit back and relax and let a Dubai interior design company handle all the hard work for you. 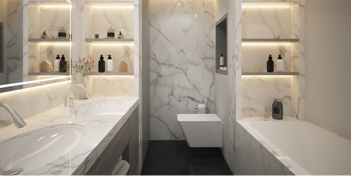 : If you are building your home from scratch, great – you can design your panic room from the get-go with an experienced Dubai interior design company!.